According to Sea Shepherds Cove Guardians there dolphins will be held for at least 2 days before the slaughter takes place. Taiji: The Fisherman’s union doesn’t slaughter on Saturdays. This pod will be held for 2 days until Sunday. Current is rough due to Typhoon. The pilot whales are sold into captivity, but also sold as food as can be seen here on Yahoo.jp. 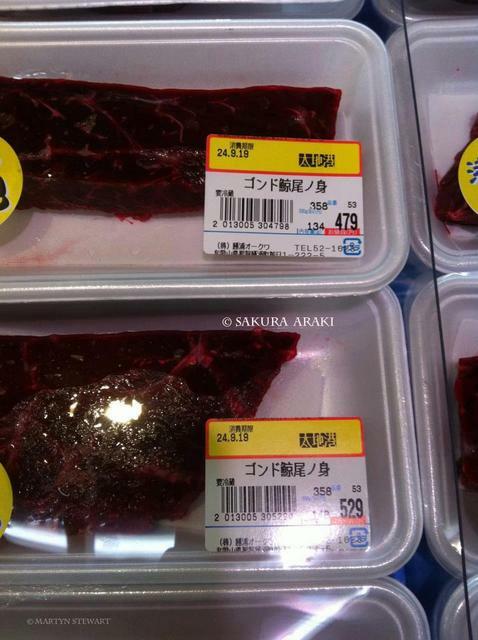 Please sign the petition asking Yahoo Japan to stop selling dolphin and whale meat here. Contact CNN and let them know that dolphins are in the cove! 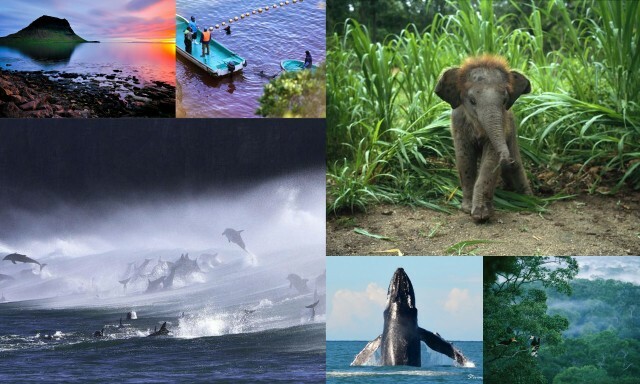 Join Champions for Cetaceans on Facebook for worldwide cetacean issues and news. In 2009 Ric O’Barry‘s academy award winning documentary, “The Cove” was released and it shocked the world http://topdocumentaryfilms.com/cove/. 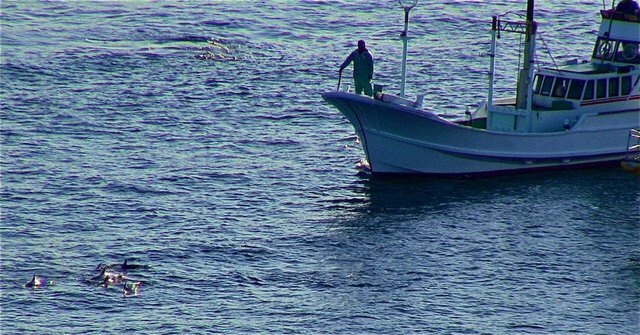 The documentary exposed Taiji, Japan a place where every year 2000 dolphins are hunted using a technique called, Oikomi, or drive fishery. Hunters go out in metal boats with fluted poles attached to the sides that reach into the water. Once the small fleet of hunters locate dolphins they quickly create a half circle and then beat on the metal poles creating a sound that is extremely painful to the dolphins.The dolphins, with their acute hearing attempt to flee from the pounding that is amplified underwater. As they attempt to move away from the sound they are driven into the deadly bay where captures and slaughter are performed. Once netted off trainers arrive to select the young and most attractive dolphins. The rest of the pod is then slowly slaughtered as seen in Dieter Hagmann’s graphic video footage secretly obtained in 2010-11 season. A striped dolphin can be seen suffering for over seven minutes as a hunter stabs, and slices while filling the wounds with bamboo nails to impede the blood flow thus hiding the horrendous nature of the slaughter. Throughout the video the dolphin remains conscious suffering an inhumane death beyond imagination. The dolphin hunters of Taiji, are a small group of men, who have used every possible means to hide their cruel, and sadistic treatment of dolphins but watchful continue to capture video and now live footage. Since release of the Cove the number of more dolphin conservationists arrive in Taiji every winter ready to bear witness for the dolphins. 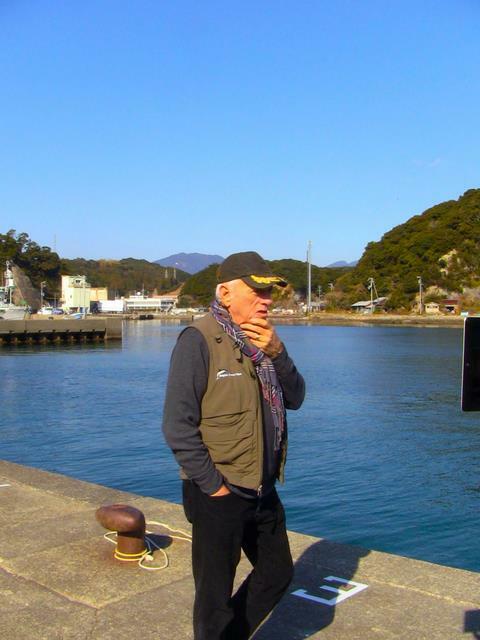 Ric O’Barry has again found a way to reach the world. Live Stream or Ustream allows real-time coverage. Using an iPad and wireless connection Save Japan Dolphins has been able to report live from the cove as the boats go out, and as the dolphins are driven in. http://www.ustream.tv/channel/savejapandolphins. 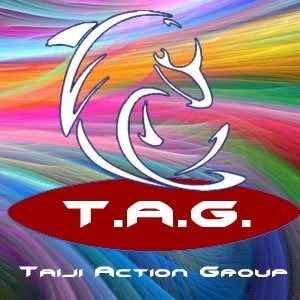 Between January 5th and 10th the Save Japan Dolphins team broadcasted live 25 times from Taiji. Unfortunately, this new technology and the constant media coverage has not impeded the hunters. 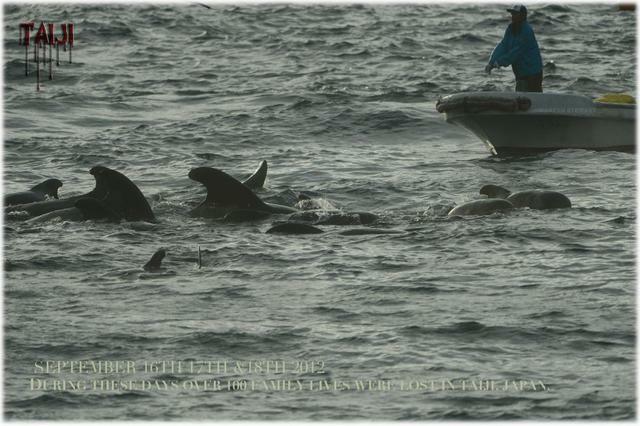 Each day pod after pod of dolphins has been driven into, “The Cove”. Most of these innocent souls brutally murdered. Within a three day period approximately 105 striped dolphins have died in the Cove, nine Risso’s Dolphins were captured, two of which were captured two selected for captivity http://www.ceta-base.com/drivefisheries.html. When will the inhumane slaughter and capture of these gentle beings end. The dolphin meat is laced with Mercury and PCB‘s http://bluevoice.org/news_dolphinmeat.php yet the killing continues. What will make the hunters turn away from this unsustainable practice. And when will the world open their eyes and hearts to our ocean friends who deserve so much more from mankind. How long the drive continues is unknown at this point but one thing is for certain. Dolphin conservationists will not give up. They will use media of all kinds to reach the world and people of Japan until the inhumane dolphin drives have ended. What can you do? Follow any of these links to become an advocate for the monarchs of the sea that need our help so desperately.